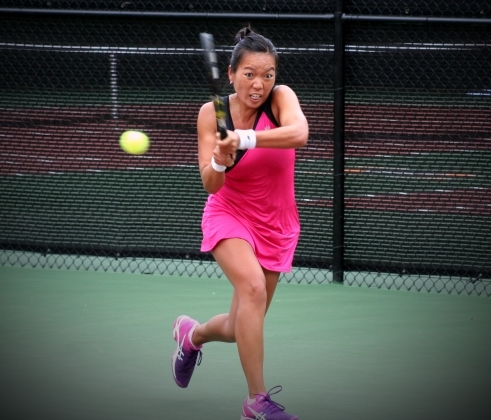 MACON, Georgia, (October 25, 2015) 16 Americans began play in singles qualifying for the 2105 Tennis Classic of Macon on Sunday morning at Mercer University’s Leroy Peddy Tennis Center under overcast skies. That is one half of the qualifying draw of this USTA Pro Circuit event taking place October 25 – November 1, 2015. Nine made it to round two. Nina Stojanovic, a 19-year old from Serbia ranked No. 287 in the world is the top seed in the qualifying draw. 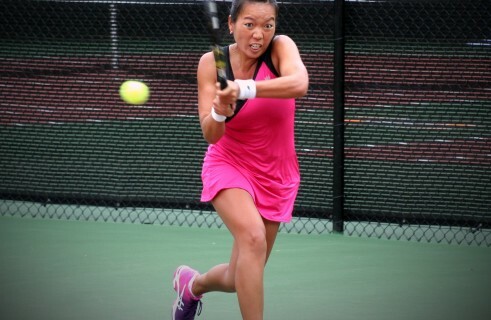 American and former Wimbledon and U.S. Open doubles champion, Vania King posted an early qualifying win on Sunday morning with a 7-6 (5) 6-1 victory over Alyona Sotnikova of the Ukraine. King has only played a few events since being out of action for 12 months with a herniated disc in her neck. Two players with local ties are were also in action on Sunday, but fell in their opening matches. Jordan Bowie, a high school player from Macon and Aikaterini Stavroulaki, from Greece, who is a junior on the Mercer University women’s tennis team each lost, Bowie to Lindsay Lee-Waters, a veteran American player and Stavroulaki was defeated by American, Michaela Gordon. Former University of Georgia player, Lauren Herring won the last match of the day. It ended up being a 3 hour and 36 minute marathon over Ana Sofia Sanchez of Mexico. The W.L. Amos Sr. Foundation is the primary sponsor of this 50K event where U.S. players can earn points for the USTA’s wildcard into the 2016 Australian Open. Tournament director and Mercer University Head Men’s and Women’s Tennis Coach Eric Hayes says the fans turning out on Sunday were treated to some great tennis. Play all week will take place on the campus of Mercer University where there is easy parking and fans can come and and go as they please with a day or week pass.